Check out what may be the shortest ad ever made, a one second online commercial developed for the Obssessive Compulsive Disorder (OCD) Foundation. The one-second-long commercial is an entry in the Cannes Lions Good Work YouTube contest, developed by a team at McCann Erickson Israel. To see the short message you’ll have to watch over and over again. For some people performing simple actions repeatedly is an everyday matter. 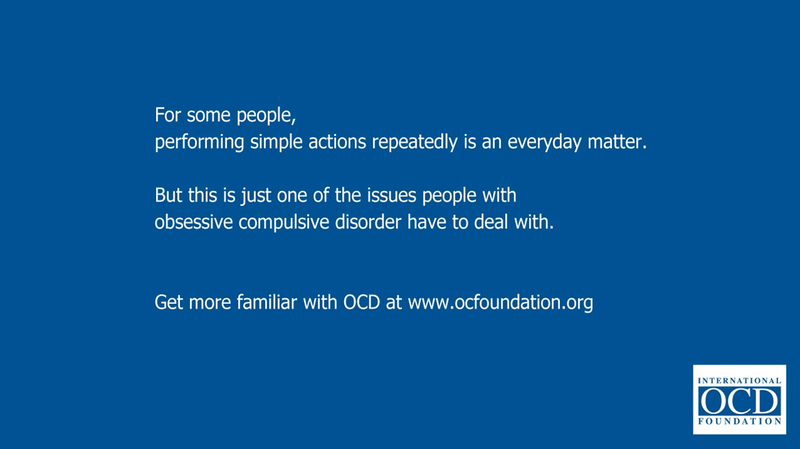 But this is just one of the issues people with obsessive compulsive disorders must deal with. The 1-Second ad was developed at Mccann Erickson, Tel Aviv, by copywriters Daniel Barak and Tal Schweiger, creative director Eldad Weinberger, and digital creative Nir Refuah.